WASHINGTON, D.C. – The Trump administration’s eleventh-hour decision to add a citizenship question to the 2020 Census violates the U.S. Constitution because it is racially discriminatory and could result in a severe undercount of minorities, according to a federal lawsuit filed today by nearly two dozen groups and individuals. MALDEF (Mexican American Legal Defense and Educational Fund), Asian Americans Advancing Justice | AAJC and the Law Office of Robert P. Newman filed suit on behalf of 21 organizations and two individuals who say the Trump administration’s decision to add the citizenship question is motivated by racial animus. The question is intended to severely undercount Latinos, Asian Americans, immigrants and other populations, the suit says, and dilute their political representation and federal funding to their communities, in violation of the Fifth Amendment. Census data are crucial to allocating seats in Congress, drawing accurate election districts and ensuring equitable distribution of federal funds for a wide range of vital programs like the Supplemental Nutrition Assistance Program (SNAP), Special Supplemental Nutrition Program for Women, Infants, and Children (WIC), Section 8 housing vouchers and special education grants. The Census Bureau eliminated a question on citizenship from the decennial form after the 1950 Census. It has only appeared since then in questionnaires sent to a sample of the population. Late last year, however, the U.S Department of Justice abruptly requested the addition of a citizenship question to the Census, arguing it was necessary to help it enforce the federal Voting Rights Act despite no showing that the data is necessary. The lawsuit against the Trump administration, filed in U.S. District Court for the District of Maryland, names Commerce Secretary Wilbur Ross, Census Bureau Director Ron Jarmin, and their respective agencies as defendants. 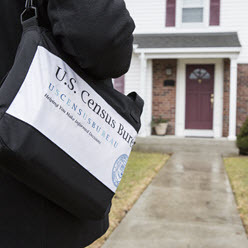 It was filed in response to an order Ross issued in late March, just days before the statutory April 1 deadline for finalizing the 2020 Census questionnaire. The complaint charges that Secretary Ross added the question without prior assessment of its impact on an accurate count and without adequate explanation of why the question is necessary and how the information will be used. The lawsuit also challenges the citizenship question because it would undermine the government’s Constitutional responsibility of counting every person living in the U.S. every decade. The question also violates the Administrative Procedure Act requirement to comply with the Census Bureau’s rules for testing new questions. With anti-immigrant rhetoric from the Trump administration at a fever pitch, civil rights and voting rights experts have repeatedly expressed concerns that adding an unnecessary citizenship question will stoke fears that the data will be used to target immigrant communities and cause non-citizens to shy away from Census questionnaires. 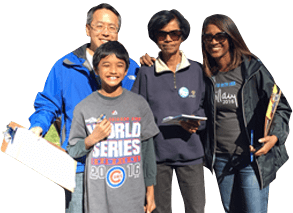 Asian Americans Advancing Justice | AAJC has a mission to advance the civil and human rights of Asian Americans and to build and promote a fair and equitable society for all. Advancing Justice – AAJC has served as a member to numerous advisory committees to the Census Bureau since 2000, including the Decennial Census Advisory Committee, the 2010 Census Advisory Committee, and, currently, the National Advisory Committee on Racial, Ethnic and Other Populations. In its advisory role, AAJC assists the Census Bureau in understanding what research programs would help the Bureau effectively to address the cultural differences and intracacies in various hard-to-reach communities, particularly in Asian American communities, in order to get the most accurate count possible. Additionally, Advancing Justice – AAJC currently co-chairs the Leadership Conference on Civil and Human Rights (Leadership Conference) Census Task Force.